It will worsen environmental conditions, exacerbate poverty and defeat the aims of the Swachh Bharat Abhiyan. 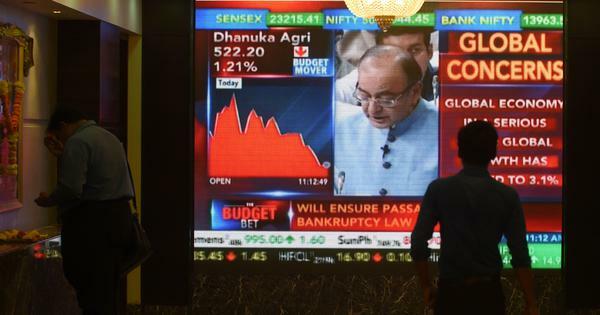 To say that India enjoys a particularly complex economy would be stating the obvious. But an indication of exactly how complex the economy is came to the fore when the Goods and Services Tax was levied on recyclable scrap. The GST rate on waste cardboard, PET plastic and paper is 12%, while other old plastics and bottles attract 18% tax. The government has put municipal solid waste in an exempt category for GST but then seems to contradict itself by taxing recyclable waste materials that emerge primarily from municipal waste. On its own, GST seems like a step forward in our complex taxation system. 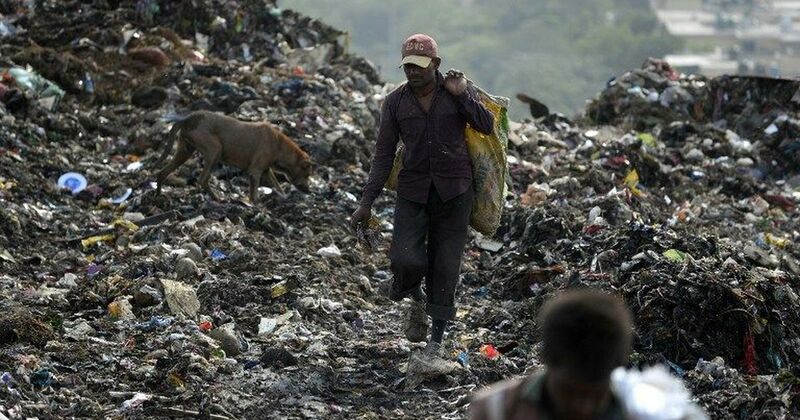 However, in its teething stages in dealing with waste, it has treaded on the toes of several lakh recyclers – the majority of them struggling to earn minimum wages to stay above the poverty line. It will end up worsening environmental conditions and cleanliness in public spaces too. 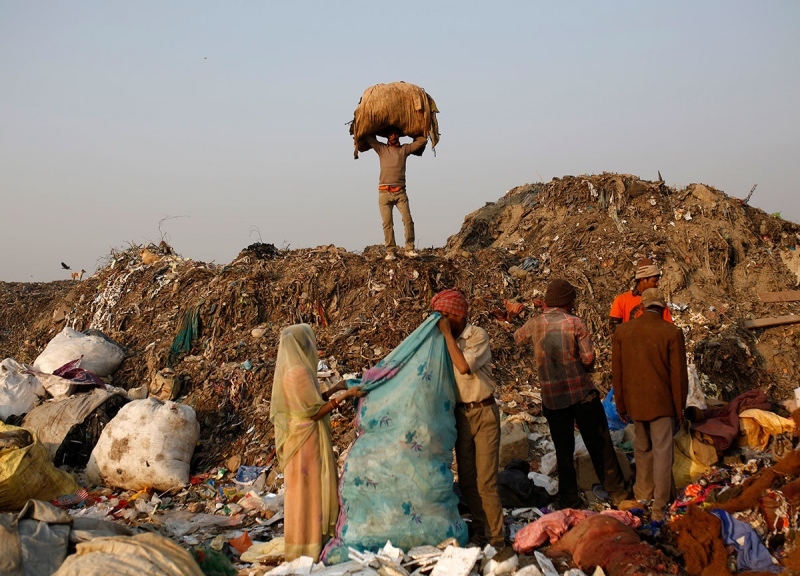 Most waste in India reaches our recycling factories via sheer human labour. Typically, factories in India do not import scrap as they once did. Instead, they depend on the country’s own explosion in consumption for their raw materials. They purchase scrap from large dealers sitting at the apex of a long trade chain, powered at the base by over 15 lakh waste pickers. Some of the traders at the top of this chain are large, rich and formalised. Most of the rest of the six lakh traders have small enterprises, buying mixed waste from waste pickers and selling it onwards. These traders employ several lakh workers as waste sorters in their shops and recycling units. While data is patchy, a June 2015 report by the Federation of Indian Chambers of Commerce suggests that the plastics recycling industry in India employs about 1.6 million people, and has more than 7,500 processing units. Key to its success is the fact that the raw materials for this industry are free to start with. But what is happening as GST, which was implemented across the country from July 1, rolls out? Already, the prices of some scrap materials have dipped. In Delhi, the price of cardboard has fallen by Rs 3 a kg, a reduction of almost 25%. The price of waste PET bottles has fallen by about 30%. No trader wants to pay for a devaluating material. As formal sector recyclers anticipate taxes, they hedge against uncertainty by either not purchasing waste and creating a glut, or paying less for waste. Both lead markets to tank. The GST on glass bottles and PET will reduce their competitiveness vis-à-vis virgin materials, resulting in reduced recycling. There is uncertainty right now, and the markets have slowed down. This, at a time, the markets are typically the busiest (in the summer). Currently, even relatively low-value materials such as waste plastic bags are picked up for recycling at Rs 3 per kg because they have an economic value. Post GST, initial signs show that these materials will not be economically viable as the final recyclers pay taxes on them and hence will pay less to acquire them. Waste pickers are therefore unlikely to pick them up. This is a crisis in itself because plastic bags have proved to be a menace across India. They clog drains, are ingested by cows and other animals and now India has one of the world’s largest plastic landfills, fed by its plastic bags, floating in the Bay of Bengal. All these problems will stand exacerbated. Ideally, plastic bags should simply be banned rather than taxed. Regardless, this trend implies an additional burden on an already overworked municipal system. Recycling is widely acknowledged to be a means of reducing greenhouse gas emissions. Actors in the developed world have adopted this as one of many strategies to reduce their emissions. India already has a robust recycling system and one of the world’s highest recycling rates. A 2009 study by Chintan Environmental Research and Action Group computed that Delhi’s recycling efforts saved 3.6 times more greenhouse gas emissions than any project receiving carbon credits in India at the time. India’s commitment to fighting greenhouse gas emissions has to be an inclusive one if it must be effective. The GST must therefore protect recycling given its wider value to the nation. If it does not, its first victims could be women and children. Women waste pickers, often scavenging or working only part time due to domestic chores, earn less. With a dip in prices for recyclable waste, their income is likely to reduce even further. As they become lower contributing members of the household, they will be further economically and socially marginalised. A decline in the income of adults working as waste pickers will likely have a severe impact on children. Trends from other cases of reduced incomes from waste-picking showed that in 2013, 63% of the children of an impacted site dropped out of school to start working in order to supplement their family income when their parents were unable to access waste. In 2009, during the recession, waste prices also saw a similar dip. A 2009 study at Chintan showed that 41% families gave up buying milk for their children entirely for over nine months, and 80% stopped buying luxuries, which they defined as fruit, meat and milk. Workers involved in recycling and sorting who are typically paid on the basis of the minimum prices of waste scrap could also take a hit in their incomes. Some employers also believe that with overall income reduced due to lower selling prices, they will be unable to continue to employ all the workers they have today. A conversation with several such employees recently suggested that older employees are likely to be let-off first, followed by women. Thus, the unintended impact of GST on recyclable waste is likely to be severe. It will reduce livelihoods, exacerbate poverty and increase hardships particularly for women and children. It will have a negative impact both the environment and the aims of the Prime Minister’s Swachh Bharat Abhiyan, which would want all recyclable waste picked up and recycled rather than allowed to litter public spaces. Rescinding the GST levied on scraps of plastic, paper, cardboard and glass is essential. These are the food-bowls of crores of India’s real environmentalists. Bharati Chaturvedi is the director of the Chintan Environmental Research and Action Group.